Directed by Matthew Vaughn. With Taron Egerton, Colin Firth, Mark Strong, Channing Tatum. 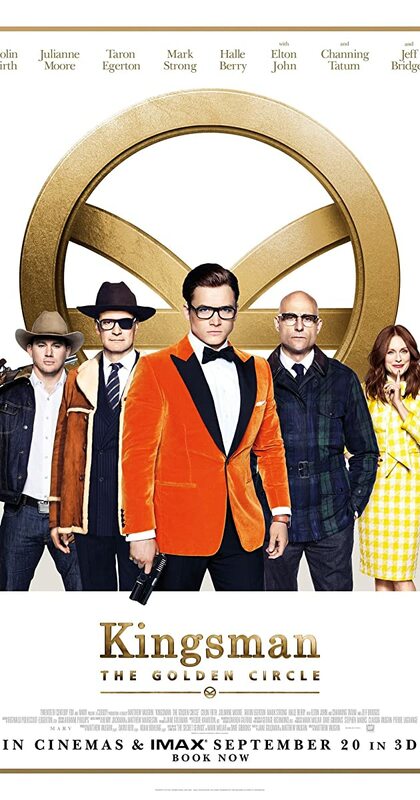 When their headquarters are destroyed and the world is held hostage, the Kingsman's journey leads them to the discovery of an allied spy organization in the United States. These two elite secret organizations must band together to defeat a common enemy. Only watched the first 47 minutes. Holy crap this sequel is even more over-the-top with phony violence and action. I was a bit shocked that Colin Firth was killed in the first installment, and almost as shocked that he came back in this one, but the outlandish method by which they brought him back was almost too much….